Only 45 minutes from Brisbane, Ocean View Estates Winery & Restaurant in Mt Mee offers all the charms of a hinterland vineyard without being too far from the city. 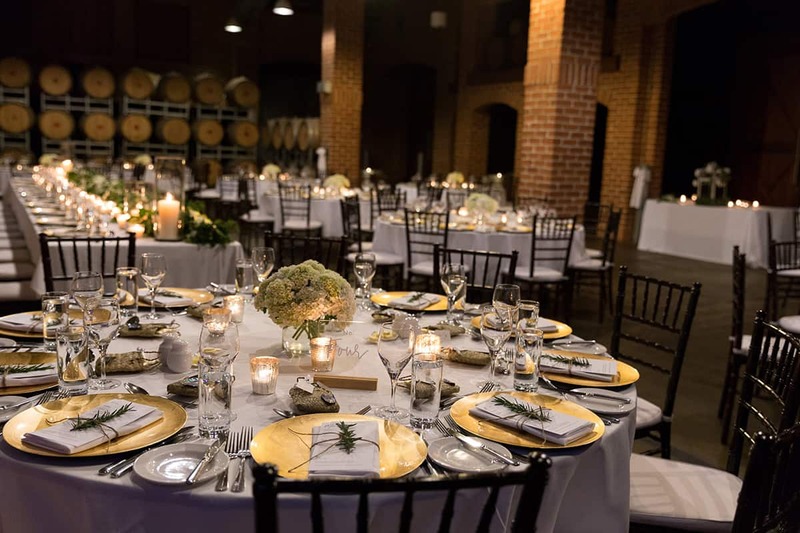 Also a family-owned winery and brewery, the venue boasts all the essentials (and a few lovely extra touches) for dream celebrations. 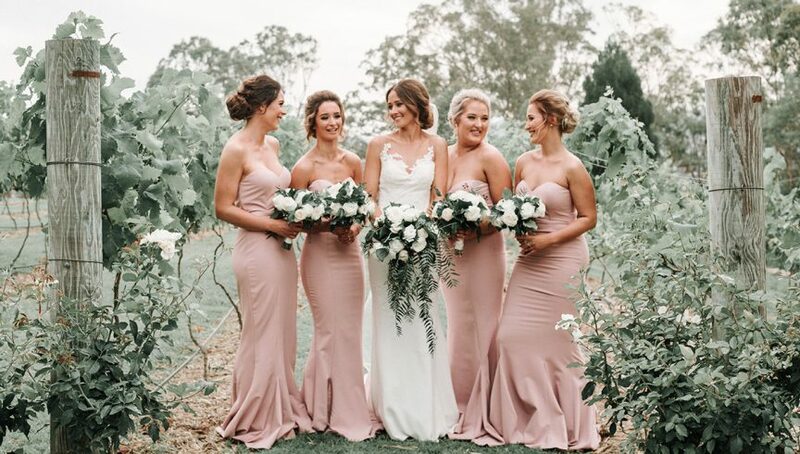 Think beautiful lakeside ceremony locations, a stylish reception space with vineyard views, sunbathed gardens, delectable fare and onsite cottage accommodation. Sigh. 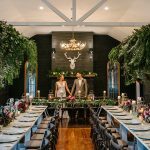 Known for its sigh-inducing outlook and sprawling emerald lawns, Preston Peak Winery & Function Centre (22 minutes from Toowoomba and two hours from Brisbane) is a winner for next-level celebrations. With a charming bridal cottage (perfect for those ‘getting ready’ photos), an elegant wedding pavilion and reception space both with spectacular views, and an almost endless amount of romantic photo locations, the mountaintop venue is also where guests can be treated to irresistible dishes made from fresh local produce – paired with award-winning Preston Peak wines, of course. We love their intimate dinner party-style receptions and that enchanting chandelier. 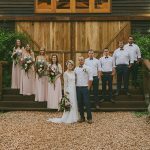 If you’re seeking a vineyard venue with a hinterland atmosphere that’s only moments from the city, celebrate your special day at Clear Mountain Lodge Spa and Vineyard. 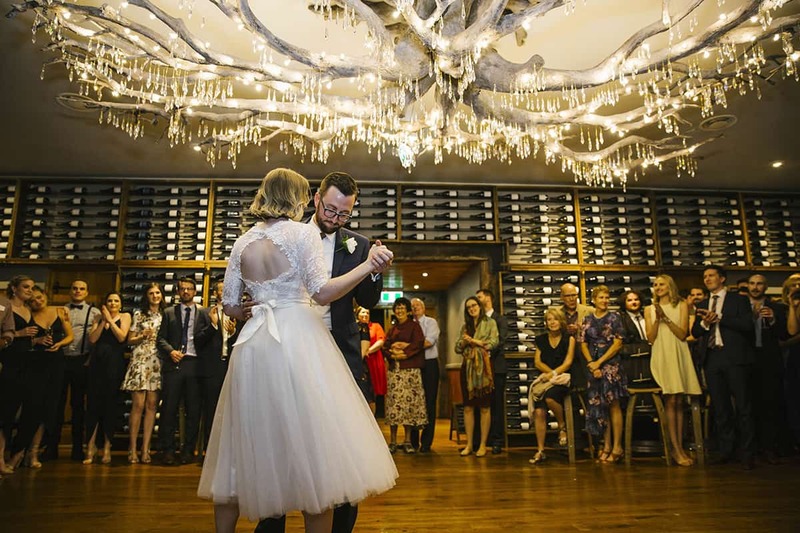 Just 30 minutes from the heart of Brisbane, the venue ticks all the boxes for a fantastic wedding. Indulge in a pre-wedding pamper session at the onsite spa and get all dolled up with your bridesmaids in a sumptuous suite before exchanging vows with your sweetheart in the purpose-built Wedding Pavilion. 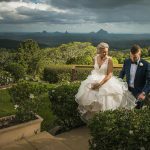 Overlooking Lake Samsonvale and the Glasshouse Mountains, it’s a breathtaking setting for saying “I do” before having photos taken in the vineyards and dancing the night away in venue’s classic Serenity Room. 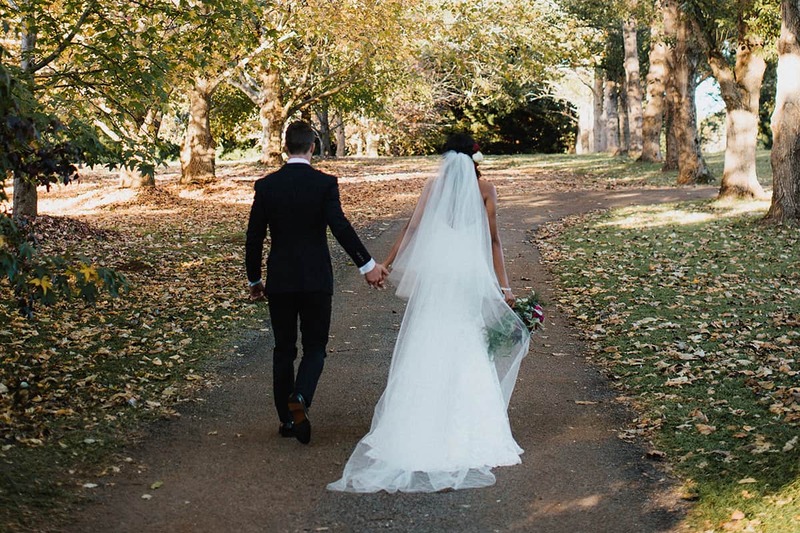 Cap it all off by spending your first night as newlyweds in one of the many onsite accommodation options and wake up to scenic bushland views. 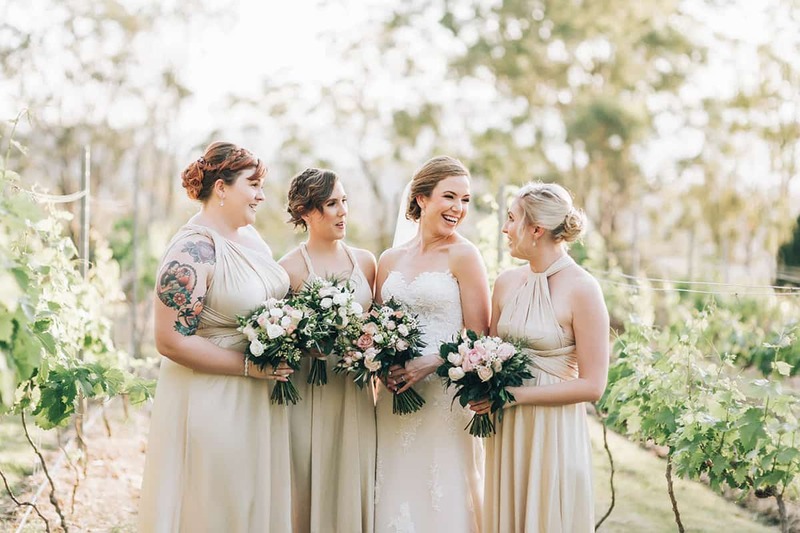 A beloved venue for its famous wines, rolling vineyard-topped hills and wonderful ceremony locations, Sirromet Winery in Mt Cotton (30 minutes from Brisbane) doesn’t disappoint. Whether you tie the knot in its lagoonside pavilion, under a canopy of fig trees or in the open-air arbour surrounded by vines, you’ll be treated to a picture-perfect setting. Top off an incredible ceremony by feasting on delicious cuisine in the venue’s well-known restaurant, on its breezy terrace or in its unique red-brick Barrel Hall, with wine barrels and dramatic high ceilings. You can also now stay the night at Sirromet, with luxury glamping tents spread across tranquil bushland. 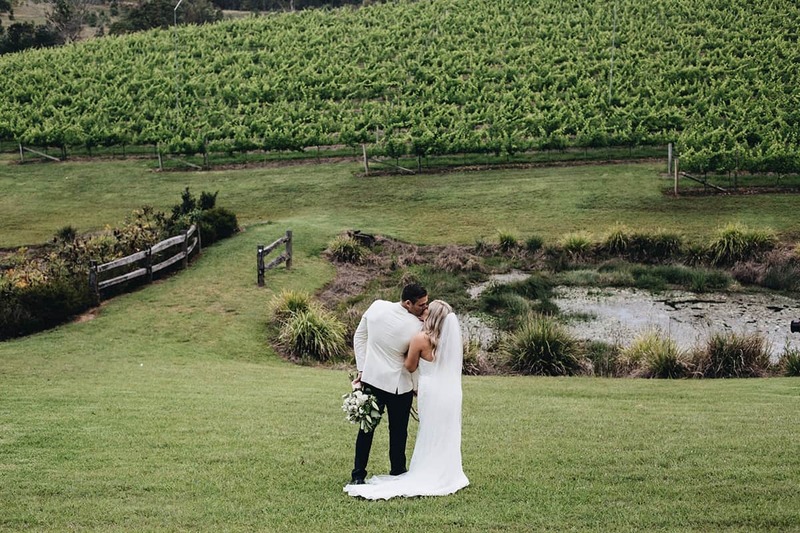 Ideal for a wedding with an ‘escaped from it all’ feel, Cedar Creek Estate Vineyard & Winery in picturesque Mt Tamborine is sure to impress loved ones. 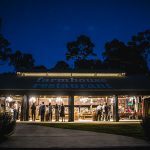 Home to an old-world non-denominational sandstone chapel with vineyard views, rainforest surrounds and a tree-lined lake with a timeless ceremony arbour, the venue is only 45 minutes from the Gold Coast and an hour from Brisbane. 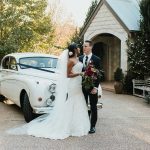 After having photos taken in Cedar Creek’s vineyard or in its tree-dotted gardens, sample the venue’s produce when you spoil guests with wine-paired fare in the gorgeous Cedar Room. Cheers to that!